I’m always asked how I get Ji to eat her veggies and truthfully I don’t have an answer. I got lucky because she loves them (I think it’s in her genes) but she is three years old and has her days. 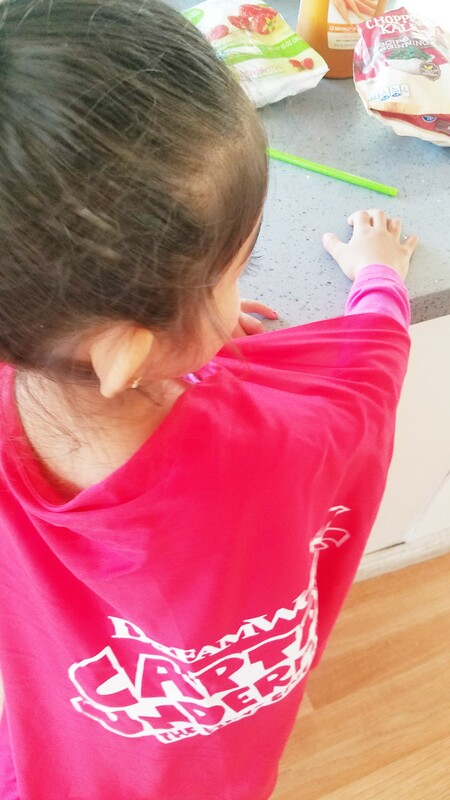 On those days when she is feeling picky, I hide the veggies in one of her favorite treats! Smoothies! Since we recently saw the Captain Underpants, I decided to make a smoothie with special powers. Her special power is to “read” she’s excited because drinking her smoothie is going to help her read. I like it! 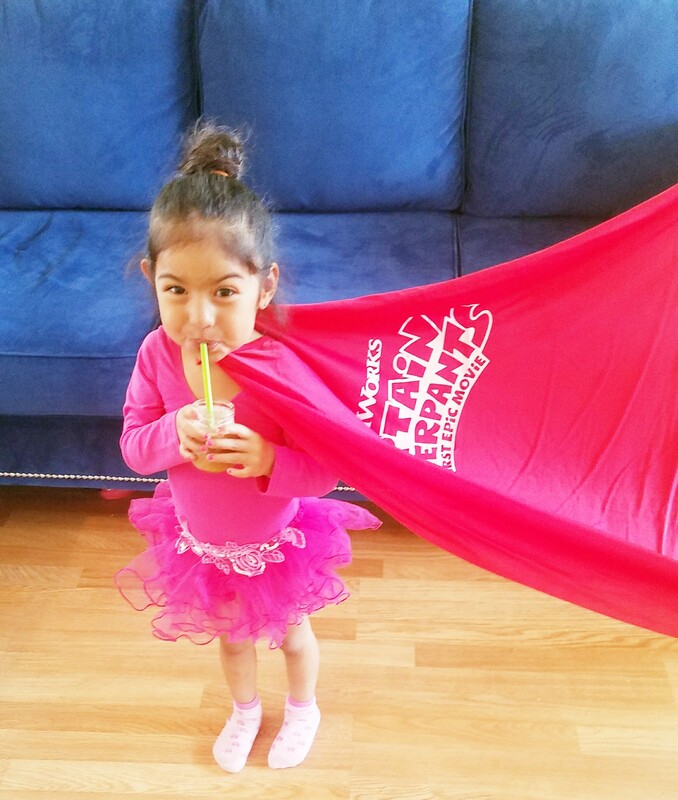 Our Captain Underpants Smoothie was super easy to make. We only used three ingredients. 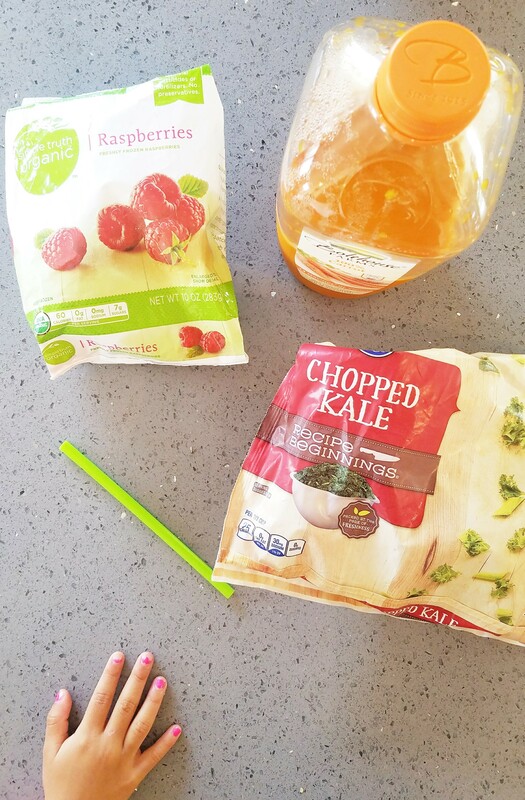 Throw one cup juice, a handful of kale and a handful of raspberries in the blender and ta da! Captain Underpants Super Smoothie is ready and Ji approves.